If you are not sure as to what type you will have for garage door installation, the technicians in our garage door company in Loma Linda recommend that you consider a steel garage door. This door is perfect for contemporary house designs and it is great in giving your garage an overall sophisticated look. 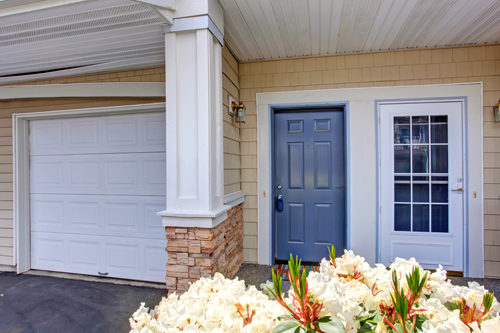 Most of the time, residential garage doors are exposed to the elements. That is why they can easily deteriorate. It would greatly help if you regularly repaint your door. You can have this garage door maintenance routine at least every two years. This will make your door look good even if it is already old. Check the lighting when buying a new garage door opener. There are models with one or two lights. Some units use 60-watt bulbs while others can take 100-watt bulbs. Our professionals in Loma Linda recommend that you make a choice based on how bright you want your garage to be and how tolerant you are to light that turns on all of a sudden in a completely dark room. You have to ensure that it will not affect your vision while you are behind the wheel.